The year 2011 is the first year of the â€œTwelfth Five-Year Planâ€. China has also entered a tough period of deepening reform and opening up and accelerating the transformation of economic development methods. Along with the promulgation of the â€œTwelfth Five-Year Planâ€ outline, a series of favorable policies have also effectively promoted. The Chinese construction machinery industry is striding toward the goal of selling 900 billion yuan. Today, 2011 is about to pass. The editors of the China Construction Machinery Business Network sorted out the top ten policies affecting the development of the construction machinery industry from various major policies promulgated and implemented by the state. I. The definition of "Construction Machinery Definition and Division of Classes and Groups" was formulated and released. On June 1, 2011, the first association standard of the Chinese construction machinery industry - "Construction Machinery Definition and Classification of Classes and Groups" (GXB/TY0001-20110) was constructed by China Engineering. Machinery Industry Association completed the formulation and implementation. "Construction Machinery Definition and Division of Classes" defines the definition of China's construction machinery and the group, type and product name of its 20 major product categories. It is applicable to the production, management, and scientific research of construction machinery within the scope of the members of China Construction Machinery Association. Teaching, use and maintenance. "Construction Machinery Definition and Classification" is the first industry association standard issued by the Chinese construction machinery industry. It is planned by the China Construction Machinery Industry Association Organization Association professional branches and industry experts to work together for nearly ten months. Completion brings together the wisdom and hard work of industry experts. The introduction of this standard has changed the classification of the 18 major categories of products that belong to the original construction machinery. On this basis, new categories have been added. Richly expanded the definition of construction machinery products. Has epoch-making significance! Second, the new "State of the Eight" formally launched a new round of regulation of the property market January 26, 2011 The State Council announced the eight latest property market regulation and control policy, "New Country Eight" makes the third regulation finally surfaced, in which mortgages, two sets of loans The down payment was raised to 60%, and the purchase restriction order was also pushed to the nationwide implementation. It was the most severe real estate control policy. Since the "Circular of the State Council on Resolutely Curbing the Rapid Increase of House Prices in Some Cities" issued in April of last year, the real estate market has undergone positive changes, and the tendency of excessively rapid price increases has been initially contained. In order to consolidate and expand the regulatory achievements, gradually solve the housing problems of urban residents, continue to effectively curb investment speculative home purchases, and promote stable and healthy development of the real estate market, we must further improve the real estate market. The relevant policy measures determined by the meeting are referred to as "new eight countries." Analysts pointed out that although the new "State of the eight" and the introduction of the real estate macro-control policies and regulations have gradually introduced, it will have a negative impact on the construction machinery industry, but the protection of housing will to some extent reduce the impact of real estate regulation. In addition, the increase in â€œNo. 1â€ water conservancy construction investment will also support the construction machinery industry. No. 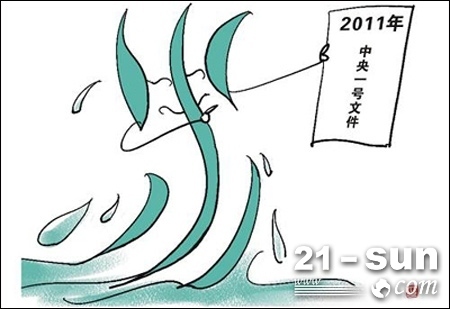 1 Document 4 trillion water conservancy investment heating engineering machinery plate On January 29, the "Decision of the Central Committee of the CPC on Speeding up the Development and Reform of Water Conservancy" was formally announced. This is the 8th Central Document No. 1 since the new century. It is also the first time that the CPC Central Committee has systematically deployed water conservancy reforms and developments since the founding of New China 62 years ago. The document issued a series of new policies and new measures with strong pertinence, wide coverage and high gold content. With the introduction of the new policy, China's water conservancy construction will usher in an accelerated period of development, China's construction machinery industry is bound to be heated. The market demand for construction machinery, especially earth and stone equipment, such as excavators, loaders, bulldozers, etc., will be the main force for the construction of farmland water conservancy projects and will certainly have a lot to offer. Faced with such a favorable situation, many construction machinery manufacturers have been in full swing, gearing up and eager to try. A senior analyst from China Construction Machinery Business Network stated that investment in water conservancy construction has on the one hand led to an increase in market demand; on the other hand, it will also have a positive impact on the specific requirements of products. The demand for excavator, loader, bulldozer and other construction machinery products will continue to increase during the nationwide water conservancy construction mechanization construction, and in order to meet the requirements of various water conservancy constructions, such as trenching, dredging, slope trimming and other working conditions, Excavator and other earthwork construction machines will be more diversified. Fourth, the policy is favorable China's construction machinery used equipment industry prospects can be expected in 2011, the Lunar New Year approaching the time, first the Ministry of Industry and Information Technology approved the implementation plan of 10 units of remanufacturing pilot; followed by the National Development and Reform Commission and issued to the relevant departments throughout the " The compilation guide for the development of circular economy development guides all regions to do a good job in the preparation of circular economic development planning. At the beginning of this year, there were not a few new moves by the relevant departments of the state, and there were two initiatives concerning the circular economy. It can be boldly foreseen that this year's state's emphasis on the development of circular economy has not been reduced, and even the policy has increased. In 2010, just in the past, the Development and Reform Commission released the first circular about the circular economy in February of that year (on the notification of the opening up and strengthening of standard management and protection of auto parts remanufactured products), although the time has not expired. Evening, but this year began to take action in January, showing that the country attaches importance to the development of circular economy. It is precisely because of the importance and support for the development of the industry that the relevant state departments will always pay attention to the field of second-hand equipment industry, and constantly formulate policies, regulations and technical standards to support and regulate the development of the industry. It is foreseeable that the relevant state departments will also issue related policies, regulations and technical standards for used equipment, and further regulate and support the healthy development of the industry. 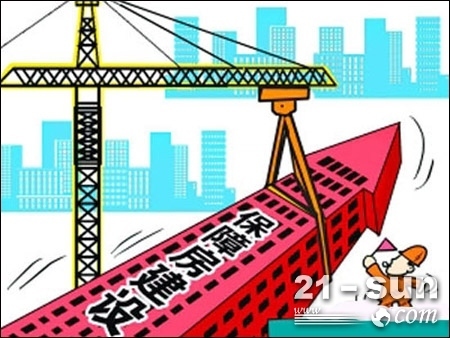 V. Safeguarding Housing Policy â€œImageâ€ Becomes Clear to Benefit from Construction Machinery Sector On the afternoon of March 6, the Fourth Session of the Eleventh National Peopleâ€™s Congress held a special press conference on â€œ12th Five-Year Plan Outlineâ€. Zhang Ping and deputy directors Zhu Zhixin and Xu Xianping, directors of the National Development and Reform Commission, answered questions from reporters. The meeting revealed that in the next five years, China will build 36 million sets of affordable housing, 10 million sets this year, 10 million sets next year, and 16 million sets in the next three years, so that the coverage rate of affordable housing will reach 20%. Recently, the Ministry of Housing and Urban-Rural Development of China stated that it is required that all types of affordable housing planned this year must be fully started before October 30th. Affected by this news, the construction machinery stocks have strengthened strongly. Analysts pointed out that from a whole point of view, the construction of affordable housing will ensure that the sales level of construction machinery will remain high in 2011. Safeguarding housing policy "image" gradually clear benefits of construction machinery sector is expected to start the protection of housing starts will directly drive the needs of three types of construction machinery: concrete machinery, large excavators and loaders (other models of demand for indirect pull), benefit from large to The order is: concrete machinery, large excavators, and loaders. A senior analyst of China Construction Machinery Business Network believes that the pre-projects for the construction of affordable housing are generally infrastructure projects. Due to the large amount of loaders, large excavators are mainly produced by foreign companies. The construction of affordable housing in the second half of this year will benefit construction machinery. It may be limited, but in the long run, the protection of the housing will have a more lasting impact on construction machinery. 6. The â€œSpecial Investigation Report on Construction Lifting Machinery Productsâ€ was published on the June 18th Annual Meeting of the China Construction Industry Association's Machinery Management and Leasing Subcommittee. The Association released the â€œSpecial Investigation Report on Building Lifting Machinery Productsâ€. According to the report, the tower crane products of Zoomlion, Chuanjian, Jiangyan, Jianghan, and Guangxi Construction Machinery ranked top 5 in terms of quality, cost-effectiveness, and after-sales service respectively; Jinglong, Baoda, Jianghan, Chuanjian The construction elevator products of Xiamen, Compaq and other companies are ranked in the top 5 in terms of quality, cost-effectiveness and after-sales services; Sanyi, Crawler Cranes of Liebherr, Zoomlion, XCMG, Fugong, Demag and others. , ranking top 5 in terms of quality, cost-effectiveness and after-sales service; Xuhang, Zoomlion, Liebherr, Sanyi, Demag and other companies' automotive crane products ranked top in terms of quality, cost performance and after-sales service 5 places. The event aims to promote the brand development and construction of construction cranes, improve product quality and after-sales service levels, provide services for users, provide information support for construction companies, construction machinery leasing companies, and promote the quality of construction lifting machinery products. Improve the quality of service. Companies wishing to obtain higher evaluations from users will continue to improve their product quality and service levels, and strive to give enterprises a new level in all aspects. The problems revealed in this investigation should be given due attention by relevant companies and they should be taken as soon as possible. The solutions, especially the national brands, must be strengthened and innovated in product research and development and enterprise management in order to gain the trust of customers. The central bank decided to increase the deposit reserve ratio of deposit-taking financial institutions by 0.5% from June 20. This is the sixth time since the central bank raised the deposit reserve ratio this year. This year's deposit reserve ratio has maintained a "one-month adjustment" to enhance the rhythm. Since last year, the central bank has also raised the reserve ratio 12 times. 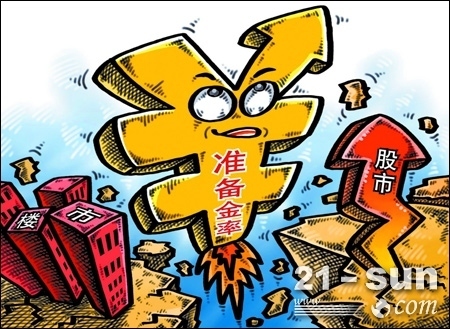 After this increase, the deposit reserve ratio of large and medium-sized financial institutions reached a high of 21.5%. The high inflation rate is the main reason for raising the deposit reserve ratio. At the same time, the slowdown in the economy and the intensification of financing difficulties for some SMEs have led to disputes over policy overtones and whether there is a need to change. The central bank's once again raising the deposit reserve ratio is also a stifling of this controversy. It is expected that the amount of funds due in the open market will fall in the second half of the year, coupled with the pressure on liquidity of some banks, and the frequency of reserve fund adjustment will slow down significantly. If the deposit reserve ratio is raised, the stock market will certainly adjust. According to past experience, if the deposit reserve ratio is increased, it will be more difficult to bypass the credit funds into the stock market. In particular, some funds that have been idle for a short time, as the monetary foundation tightens, will first ensure the production needs, and the investment in the stock market will slow down. Tightening the monetary base will have a greater impact on capital-intensive industries and SMEs with strong financing needs and higher financial leverage, such as real estate, construction machinery and building materials. Analysts believe that the central bank's intensive increase in the reserve ratio is intended to further strengthen current liquidity control, control bank credit and manage inflation expectations. The central bank raised the deposit reserve ratio, which has a certain negative effect on the sales of construction machinery. Credit for construction projects is limited. For example, most of the stone supply companies in the project use loaders, which directly affect the sales of construction machinery. The preliminary draft of the "12th Five-Year Plan" for steel will be accelerated The first draft of the "12th Five-Year Plan" for the iron and steel industry has basically been finalized, and the steel industry will continue to promote joint reorganization. The ratio of the domestic top 10 steel companies' production capacity to the national production capacity will reach 60 %the above. 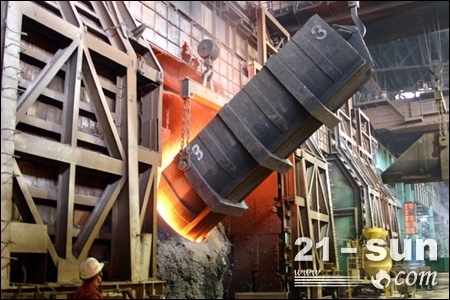 Compared with the previously issued "Iron and Steel Industry Adjustment and Revitalization Plan", in the current draft of the "12th Five-Year Plan" for the steel industry, the main line that encourages mergers and reorganizations and optimizes industrial layout will continue, while phasing out backward production capacity and energy-saving emission reductions. The standard will increase. According to an authoritative source, in terms of joint reorganization, there will be an ultra-large iron and steel company with an output of 50 million to 60 million tons and a number of large-scale iron and steel enterprises of 10 million to 30 million tons in the â€œ12th Five-year Planâ€ period. The key companies include Baosteel, Angang, Wuhan Iron and Steel, Hebei Iron and Steel Group, Shagang, Shandong Iron and Steel Group, Shougang, and Bohai Iron and Steel Group, etc. â€œIn terms of industrial layout, due to environmental capacity, water resources, transportation conditions, energy supply and other factors Seriously constrained, the iron and steel industry will shift more along the coast along the coast, and the proportion of production capacity of coastal iron and steel enterprises in the country will reach 40%. IX. Energy Saving and Emission Reduction The special plan for energy-saving and environmental protection equipment will be issued during the â€œTwelfth Five-Year Planâ€ period. China will organize the implementation of the implementation program for sintering flue gas desulphurization in the steel industry to promote the emission reduction of sulfur dioxide in the non-electric sector; and organize an overall plan for the prevention and control of heavy metal pollution in the battery industry. Strengthen the prevention and consumption of heavy metals and toxic and hazardous substances; Strengthen the control of electronic information product pollution; Promote the voluntary certification of electronic and electrical products; Draft and formulate regulations for the control of pollution of electrical and electronic products; Focusing on such important mineral resources as energy, bulk shortage metals, and rare precious metals, we will promote comprehensive development and the comprehensive utilization of associated mineral resources. In the development of recycling economy and remanufacturing industry, China will organize the implementation of circular economy technology demonstration projects, release a list of major demonstration and promotion technologies for industrial recycling economy, promote the construction of circular economy industrial demonstration parks, and promote the development of typical models of circular economy and industrial chain construction; The cement will absorb the construction of industrial solid waste and municipal solid waste demonstration technology projects; promote the recycling of used metals, waste paper, waste plastics, waste rubber, and waste electronic products, and develop the renewable resources industry. Focusing on auto parts, construction machinery, machine tools, large-scale industrial equipment, electromechanical products and key parts and components, we will promote the remanufacturing of electromechanical products, organize the implementation of pilot remanufacturing of electromechanical products, and build a number of remanufacturing demonstration projects and demonstration bases; To carry out remanufacturing product certification, study and formulate relevant policies for encouraging remanufacturing, and promote the development of remanufacturing industry in scale and standardization. X. The Central Bank cut the deposit reserve ratio for the first time in three years On December 5, the central bank lowered the reserve ratio of large financial institutions by 0.5% to 21%. In fact, this is the first time in three years that the reserve requirement rate has been lowered. The central bank is releasing positive signals to the market and the credit line has also been loosened. Financial experts pointed out: "The reduction in the reserve ratio indicates that monetary easing has officially opened the curtain. It is expected that in the coming months, the reserve ratio will continue to decrease. In the first half of next year, the frequency of downward adjustment may be once a month." Liu Ligang, director of economic research at ANZ Greater China, believes that due to the downside risks facing the macro economy, monetary policy still has room to continue to relax. Until the first half of next year, the Peopleâ€™s Bank of China still has 3 to 4 adjustments to the deposit reserve ratio. The space may be lowered once again during the year. HSBC economist Ma Xiaoping also believes that in the first half of next year, the deposit reserve ratio may also be lowered at least three times. Superior Clamp are some of the toughest, safest clamps available. They are available in various types of material to suit nearly any type of hose attachment for various applications, are typically constructed from Stainless Steel,Carbon Steel-Zn Plated, 304 Stainless Steel and 316 Stainless Steel. Hose Clamp are used in auto pipe , motor pipe , water pipe , cooling pipe , gas pipe ect. Hose Clamp with evenly stress when fastening,wrest resistant and high crushing strength, bigger adjusting range. Hose Clamp other materials are available on request. Why should hose clamp from Match-Light Coupling be your first choice? 1.Match-Light hose clamp are designed to last longer, even under harsh conditions. 2.Superior pressure ratings that surpass industry standards. 3. All of Match-Light hose clamp punching are made from high quality raw materials,punch in China foundries and machined in our company owned machine shop, Central Machine & Tool.